Platters made of sugarcane pulp are eco-friendly no doubt. Only that passengers on train expect redressal to more urgent concerns. Bagasse-based plates. That is the latest mantra from Indian Railways amid a barrage of complaints—on train delays and inability to ramp up passenger services. That way, serving food on platters made of fibrous sugarcane remains has come as a standard defective ploy from the stables of the country’s largest employer. The implementation of the idea, suitably enough, was made on June 6: the World Environment Day. As for now, bagasse-based plates will be in use to serve dishes on a trial basis on eight select Rajdhani and Shatabdi trains. This pulpy residue from the fields makes for disposal containers as well as cutlery. The packaging can subsequently be disposed through an effective composting process. All very splendid. The biodegradable plates do provide for good optics, too. But they also inspire a question: why focus on packaging, when the problems of rail catering are with the quality of the food served? That leads to a larger issue: is India’s colonial-era state-owned transporter at all interested in improving its catering services? Officials of Indian Railways—the world’s fourth largest network operating 12,000 passenger and 7,000 freight trains to ferry 24 million or 2.4 crore passengers each day—have never quite been short on hyperbole. From time to time, announcements have been made that train hosts or hostesses in liveried suits will serve hygienic and warm food. But recurring incidents of passengers taking ill with food poisoning have been coming in. Troubles with rail catering are several, but they primarily relate to an absence of effective processes and systems. Over the last decade-and-a-half, three different policy announcements have come, while catering responsibilities have been tossed back and forth between Indian Railways and the Indian Railways Catering and Tourism Corporation (IRCTC). 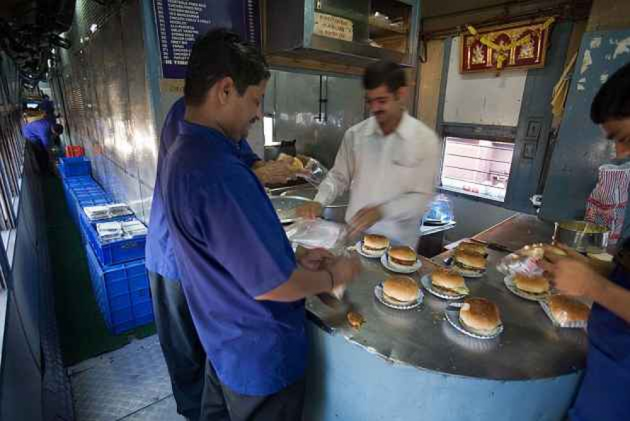 As on date, the IRCTC has been tasked with the charge of managing catering responsibilities, but decisions on upgrading and modernising the train pantry cars fall under the domain of two different cadres of Indian Railways. The rail officialdom never tires to talk about plans to serve “airline-type” food on trains, but does not attempt substantial funds or efforts to improve infrastructure to modernise pantry cars and base kitchens. As the CAG report (no.13) of 2017 points out: “Of the 131 base kitchens of the Indian Railways, only 16 are located within the railway premises” and that no less than 115 base kitchens are located outside the railway premises, thereby not subjected to quality checks. The so-called “vested interests” do seem to peddle a substantial amount of influence. Last year, Indian Railways re-launched its e-catering plan with much fanfare—and announced plans to put up steel boards enlisting the names, contact numbers and mail IDs of the e-caterers on the coaches of important trains. The plan has been awaiting clearance with the Railway Board, even as the e-catering business has not picked up in the manner anticipated. The system has been officially permitted at 408 stations, but not more than 70 actually practise it. Apart from managing pantry cars in 338 pairs of long-distance trains, the Railways run runs hospitals, dispensaries and schools, as also sports academies and stadiums. Should not the Railways exit from these peripheral areas—one of them being catering service—and focus on its core activities? As is the case, Indian Railways has several other important challenges to tackle. Infrastructure constraints are huge, while the challenges on passenger safety have mounted. The Railways consistently puts out statistics to assert that its accident record has been improving; even claiming that the figures compare favorably with that of several European nations. Bu what is conveniently concealed is the fact that, in terms of passenger deaths, the Indian Railways quite easily tops the list. Passenger deaths on Indian tracks are more than the combined number of such deaths of several nations, official statistics reveal. Indian Railways have been contemplating “semi-high speeds” and has moved in to construct the country’s first high-speed train corridor linking Mumbai with Ahmadabad. Yet, the average speeds of mail and express trains have failed to cross the 52 kmph hurdle. The bagasse plates are a good idea, but nothing big for the country to feel excessively triumphant. 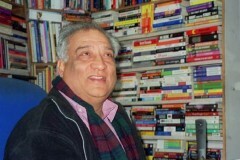 About The Writer: Srinand Jha is a rail buff and an independent journalist based in New Delhi. they help to make our event best.